The best accommodation in southwest England for all the lovely counties of Wessex, which are of course - Devon, Dorset, Hampshire, Isle of Wight, Wiltshire, and Somerset can be found HERE. Cities, towns and even some villages are represented. Have fun - try it out!!! It works!!! Gives lots of hotels wherever you are! You might find a new holiday hideaway! There is something for everyone, small boutique hotels to the large five star luxury ones. Short breaks, long vacations to touring holidays. Where are you going for that special break? For the benefit of our many visitors who are from overseas and perhaps might also like to have a stop over en route, our hotel search engine on this page is world wide as well as Wessex!!! For those wanting accommodation near to Heathrow Airport on the way to or from a flight put London in the search box along with the dates obviously. Then when the London page comes up look to the left side for areas of London, scroll down to London Heathrow Airport and click on that. All the hotels in the vicinity of the aiport will be displayed. There is another box lower down on the left hand side to filter for those hotels with free breakfast or are on the shuttle bus route etc. For those hotels on Bath Road there is a London red bus that runs to the airport along this road. There is plenty of accommodation in Wessex and so much to do!! Man of War Bay, DorsetPhotograph © Copyright Aaron Stanley. Wessex is so rich in cities, towns and villages. Heritage abounds everywhere from the Jurassic Coast, Kents Cavern in Torquay that had human habitation thousands of years ago to the more recent Stonehenge! Then on through the ages to Celt, Roman, Saxon and Norman cultures to the modern day. Up to date cities that throb with life. Great shopping with large stores and those delightful little boutiques sometimes hidden down enchanting little alleyways. Sandy beaches, pebble beaches, Blue flag beaches, piers. Zoos, Botanical Gardens, the list is endless. Little villages down mysterious shady lanes that just beg to be explored. Woods and streams. The local pub that may well serve a very pleasant lunch at a sensible price after that hike down fascinating footpaths or that cycle ride through the many cycle ways that adorn Wessex. Did your family come from the Wessex region years and years ago? Check out where they lived, walk in their footsteps. Check out the local Record Office, you never know what you might find! There is the Annual Steam Rally at Tarrant Hinton in Dorset. What about a cruise to see the Jurassic Coast from the sea. (Check out the Events pages for places and times.) Or explore that famous Coast from the land side. Fossils abound, but be careful, cliffs crumble. Explore the longest footpath in Britain, the 600 mile long South Coast footpath from the Jurassic Coast in Dorset along the Devon and Cornwall coasts and back up to Minehead in Somerset. Best done in walk size bits!! Check out the accommodation, there are so many hotels in the region that would be just right for you. The search box above has so many hotel choices!!!! Or try this link. Or maybe you would like to browse some more. Links to other pages are on the navigation pane above on the left. is this hotel near Heathrow Airport for a night's stay before or after a flight. Very comfortable and staff are pleasant and helpful. Meal was fine and as we were early we had all the staff's attention - very nice. Plenty of taxis available or there are red buses along Bath Road. Guest rating is 4.2 out of 5, but add a notch to that. 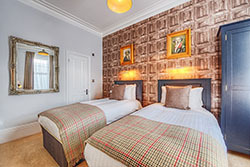 Trip Advisor 's 2014 awards included these hotels in Wessex. 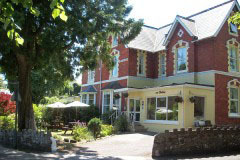 No 3 Elmdene Hotel, Torquay Rathmore Road, Torquay. 5 star Guesthouse. The route, about 250m, to the beach is level. Relaxing and good quality. No 7 Clarence Hotel, Portsmouth. Not too far from Southsea Beach.Not too far either from the Historic Dockyard. Adults only. No 10 Number Four Boutique Hotel, Portsmouth. Located in Festing Road, close to Southsea Beach and the shops. 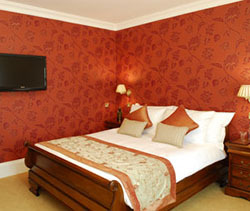 No 11 Cary Court Hotel, Torquay 4 star and in a good spot for nightlife! Lovely swimming pool. Special rates MG owners Club. No 12 Apsley House, Bath Elegant, refurbished but still the lovely Georgian House that was built in the early 1800's by the Duke of Wellington. Comfortabe and caring. 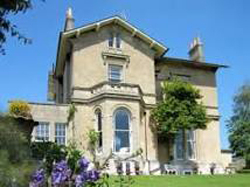 No 15 Abbeyfield Guest House, Torquay situated in Bridge Road. Guests think a lot of it. says it all really! Four star, superior to that perhaps. No 19 < strong> Good for the nightlife. Handy to all the local tourist attractions as well. 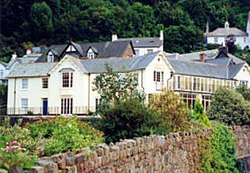 Lynmouth is a gateway to Exmoor. No 22. 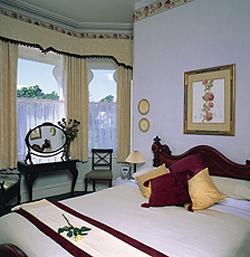 Haytor Hotel, Torquay This delightful romantic hotel has won many awards. Situated in Meadfoot Road, it is not far from the beach.